Home > News > Events > How are you? Many of us will answer ‘Fine’, even when we’re not. This exchange is often another way of saying hello. I would argue that we have all asked the same question and given the same answer many times, without really expecting to give a meaningful answer ourselves — or expect to give someone the time to listen to theirs. Today is Time to Talk Day. In October 2017, we signed the Time to Change Employer Pledge, demonstrating our commitment to challenge mental health stigma, promote positive wellbeing, and look at how we think and act about mental health at every level of our organisation. 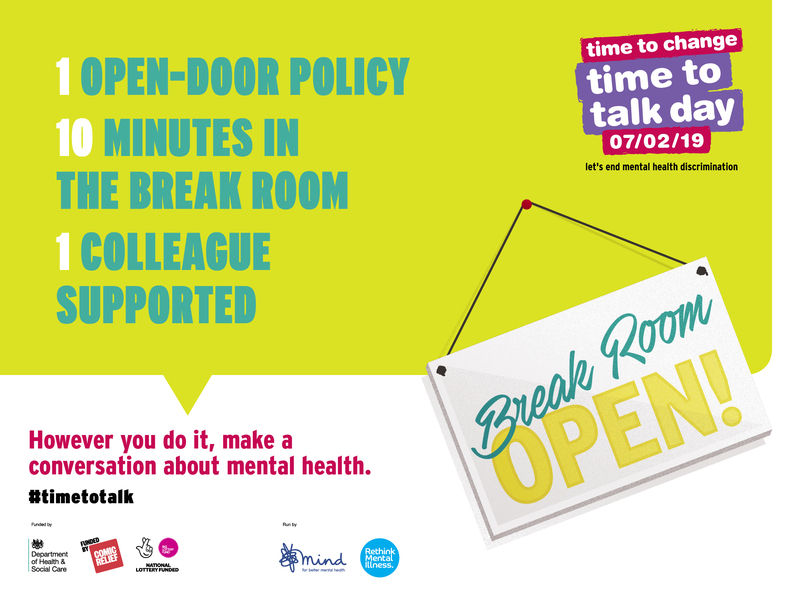 We are part of a movement that’s promoting openness and changing the conversation to help those with mental health problems feel less isolated or alone. 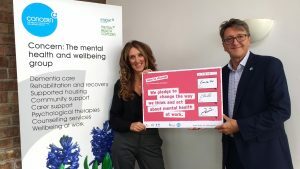 As part of our ongoing commitment to this, I want everyone who works with us to feel they can be open about their mental health, and ask for support if they need it. So today especially, I’d like us all to challenge ourselves a little. If you ask ‘How are you?’, be prepared to give some time to listen to the answer — and if someone asks you, I hope you feel able to tell them if you’re not. Try to take care of yourself, your family, friends, and colleagues.